Welcome to my forums, full of great ideas. Please register if you'd like to take part. Recter Gaming [RG] organizes 3 Tournaments every year. Shadow League (During Summer), Thunder League (During Monsoon) and Fallen League (During Winter) for all the supported games. No memes on admins. Else ban ! #Unbanned Sorry for the inconveniences caused. 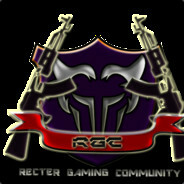 Recter Gaming Community [RGC] is a Multi-National Gaming Community for online multiplayer games.